Kromagnon is streetwear reimagined for both men and women. 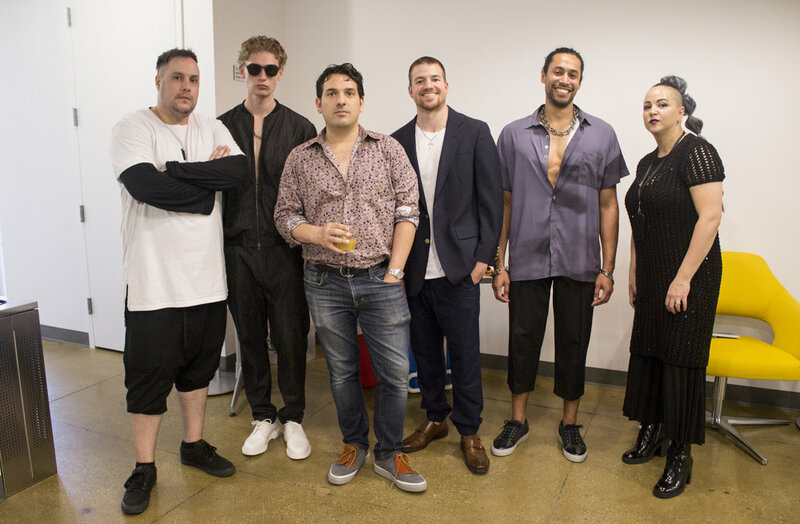 Kromagnon uses sustainable and ecologically friendly practices and fuses them with Kristen's aesthetic yielding dramatic and unique collections. Everything is sustainable, organic, natural, upcycled and most importantly biodegradable and made in New York City, NY, USA. Control Sector is an NYC based contemporary streetwear brand. We aim to defy convention yet remain wearable. Learn more at Control Sector. Kristi Vosbeck artistically infuses modern vitality with couture sensibility in her ready-to- wear pieces, chic cocktail dresses, custom bridal and red carpet gowns. Learn more at Kristi Vosbeck. Cenia is a New York based womenswear label that creates apparel to flatter women no matter the body size or type. 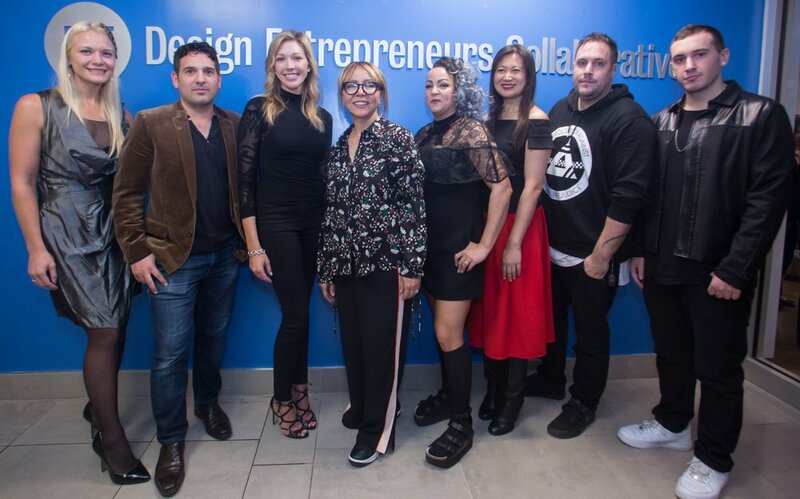 ”The FIT Design Entrepreneurs Collaborative has meant a lifeline for my business. 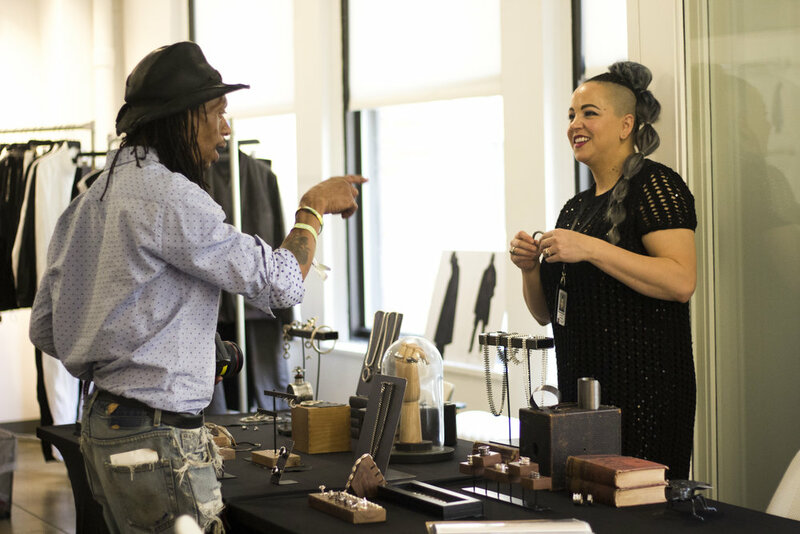 It has provided me with the opportunity to have an office to operate my business and an available showroom in the center of the New York’s Garment District, where I can meet buyers from all over the country who come to market, all at an affordable cost. It is a gift and a blessing. From first sketches to final production, Chikimiki garments are made with love in New York City, either in-studio or at local factories. Ethically produced in small, limited-edition quantities with sustainable fabrics, each piece is held to the highest standards of quality. Defying a culture of disposable, mass-produced fashion, Chikimiki designs are made to stand the test of time and trends. With an unconventional eye for color, an emphasis on texture and intricate, hand-sewn embroidery, classic shapes are reinvented and reinvigorated, creating statement pieces that enrich a woman’s core wardrobe and accentuate her personal style. Minan Wong is New York City based sustainable luxury woman's ready to wear collection that offers limited runs and exclusive styles. Inspired by New York City, every piece is designed to support the woman through her everyday challenges. 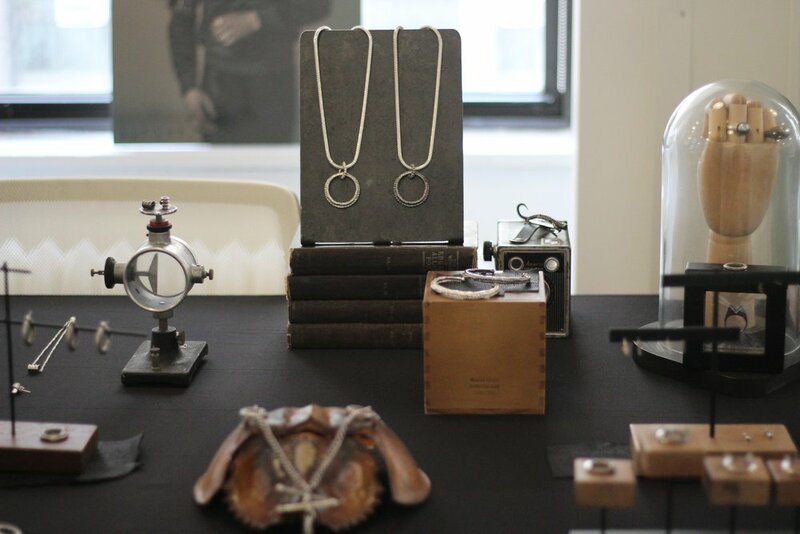 All pieces are locally made in NYC's garment District for fair wages and to support the local economy. Learn more at Minan Wong. Layana Aguilar is the designer behind the eponymous contemporary womenswear label that celebrates womanhood. Learn more at Layana Aguilar.